Chlorine dioxide is a sterilant that is a true gas at room temperatures, meaning it naturally distributes uniformly and completely within the space being decontaminated. It distributes the same way that oxygen does in a room, with the level of oxygen being the same throughout. This level of distribution is excellent when compared to vapor phase hydrogen peroxide, mists or fogs. Hydrogen peroxide has been labeled as a “lazy gas” which doesn’t distribute readily. 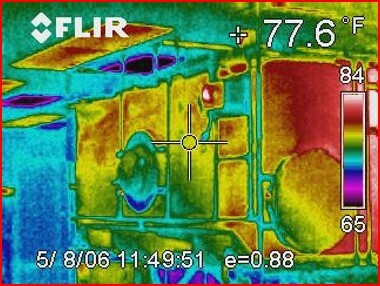 VPHP will start condensing back to the liquid state upon exiting the generator, and it is distributed throughout the chamber/room through line of sight injection. The vapor can be blocked by objects in its way, leaving the surfaces behind or underneath uncontacted or under-contacted. 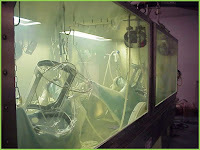 As such, the back side, underside, and internal portions of components may not be contacted by VPHP for a long enough period of time, at the proper concentration, to achieve the correct level of kill. 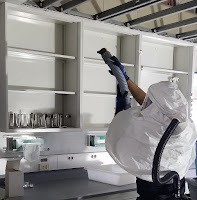 If the decontaminating agent cannot reach ALL of the dangerous organisms in a critical environment, such as a BSL-3/4 facility, at the proper concentration, for the prescribed amount of time, then a complete decontamination will not occur and worker safety is compromised. Learn more about the process and benefits of chlorine dioxide gas on April 10th at our CD 101 webinar or attend one of our upcoming workshops. Click here to see when we will be in your area!